My heart aches whenever I hear office staff offering condolences to pet owners as they leave the hospital with a leash and collar in their hands. I know the excruciating pain of making an end-of-life decision for a suffering pet. And I understand the heartbreak of holding a beloved animal companion as he or she takes the last breath. Euthanasia is hard on veterinarians and their staff, too. They have to manage emotions surrounding ending an animal’s life while also dealing with the grief of the owners. Because of the lifespan of the animals they treat, veterinarians experience death at a rate five times that of physicians for humans. This can lead to high levels of stress, compassion fatigue and burnout. A report by the American Veterinary Medical Association found that as many as one in six veterinarians struggles with thoughts of suicide. Professionals in the emerging field of Veterinary Social Work offer emotional support to veterinary staff and their clients. The term “veterinary social work” was coined in 2002 by Elizabeth Strand, founding director of the Veterinary Social Work Certificate Program at the University of Tennessee-Knoxville. Students enrolled in this program are trained in the four areas of veterinary social work: The link between human and animal violence, grief and loss, animal-assisted interactions and compassion fatigue management. 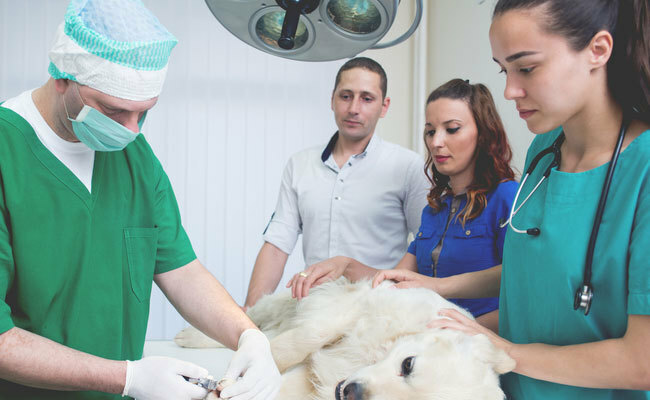 While most veterinary colleges have some form of veterinary social work or counseling, it’s not widespread in private veterinary practices. Larger veterinary facilities with multiple locations or corporate chains are more likely to have a veterinary social worker on staff. The Center for Veterinary Specialty and Emergency Care in Lewisville, TX started a veterinary social work internship program in 2013 to help clients struggling with the loss of their pets. The program was developed by Licensed Clinical Social Worker Sandra Brackenridge. A former associate professor of social work at Texas Woman’s University, Brackenbridge retired from teaching this year to devote more time to developing veterinary social work internship programs for animal hospitals throughout the U.S. This year she developed programs at veterinary hospitals in Massachusetts, Pennsylvania and Wisconsin. Social workers offer support and companionship to clients while awaiting the results of a procedure. They help transfer information from the veterinary team to the pet owner and accompany a pet owner when visiting a pet in the hospital. In an October blog post, Brackenridge shared how one of her interns offered emotional support to a mom and her children when they brought in a dog who had been “bludgeoned” by the woman’s husband. In addition to supporting the family, the veterinary social worker acted as a bridge to other services such as animal control, the police and child protection services. They can help guide clients in making end-of-life decisions and offer emotional support in the euthanasia room. 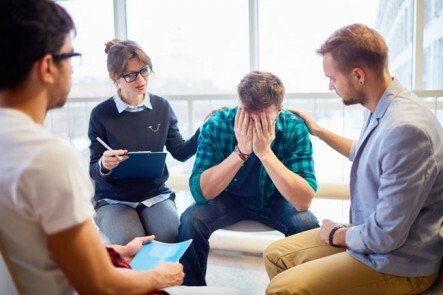 They can provide grief counseling. Clients at the Center for Veterinary Specialty and Emergency Care have access to private and group pet loss support counseling. They also receive educational materials on such topics as helping children cope with pet loss and helping other animal companions in the family who are grieving the loss of a friend. Teaching good communication skills to help veterinarians when interacting with co-workers and clients. Recently Brackenridge organized a Flower Day at the Center for Veterinary Specialty and Emergency Care. Staff was invited to plant a flower in memory of a pet or multiple pets who were euthanized or died at the animal hospital.